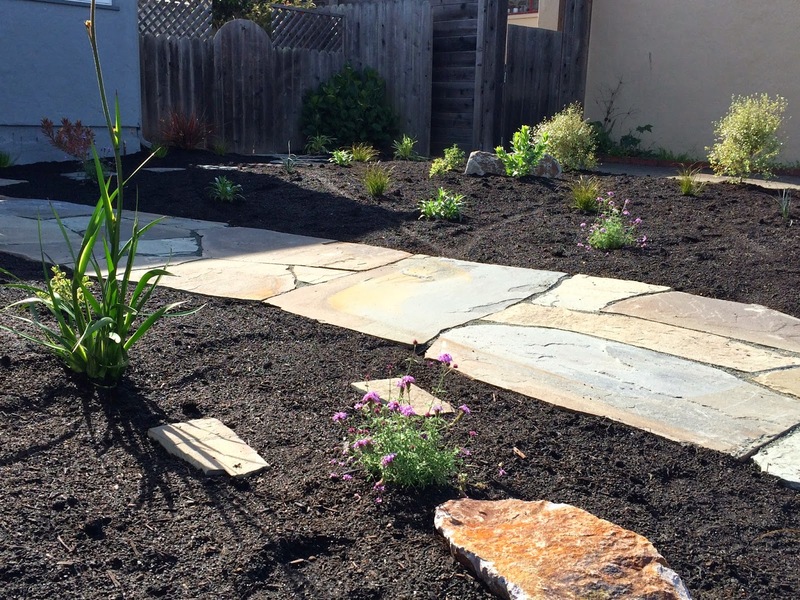 Our most recent project wrapped in El Cerrito this week. 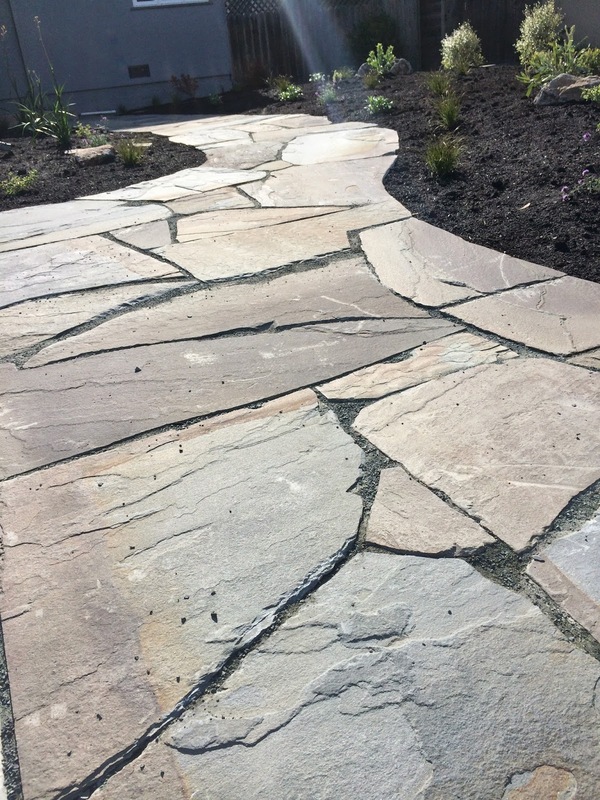 A small narrow concrete walkway was re-placed by this lovely curving Connecticut Full Range flagstone. 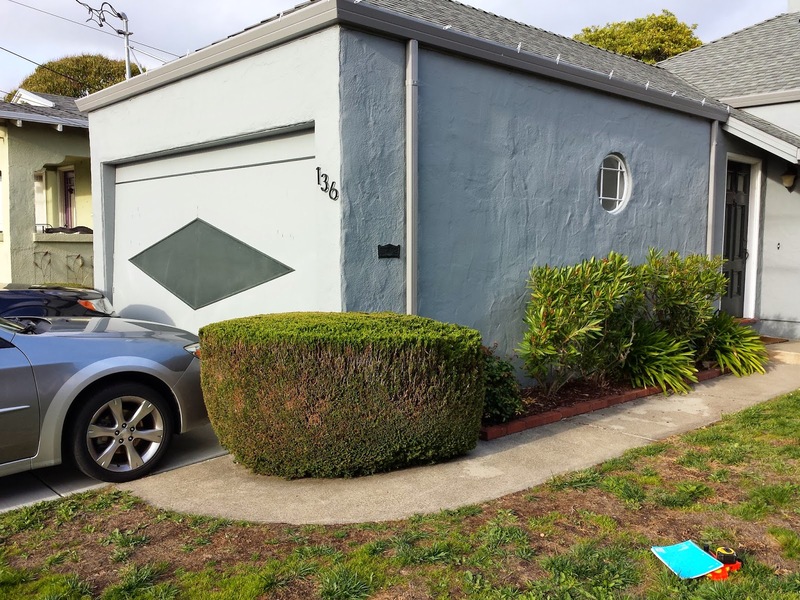 A large landing area serves as a step out from the driveway and an access point from the sidewalk. Another lawn bites the dust! 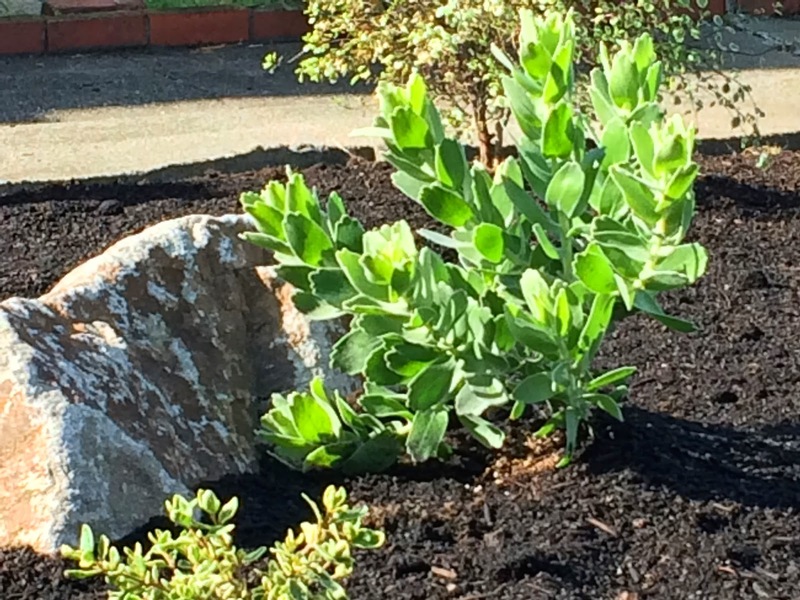 We sheet mulched and planted over the old lawn. The plants are a combination of native and South African low water and drought tolerant selections. I will post updates on the garden as it grows and fills in more.